Apple's iMac lineup will gain a smaller 21.5-inch model with a 4K-resolution Retina display in the coming months, likely at the company's annual October media event, a new report claims. Citing "reliable sources," 9to5mac reported on Thursday that a new iMac with a screen resolution of 4,096 by 2,304 pixels will ship to consumers by the beginning of November. Evidence of the anticipated desktop has been growing thanks to configuration files hidden within Apple's beta releases of OS X 10.11 El Capitan. Packing a 4K display into the 21.5-inch form factor would yield a desktop with around 218 pixels per inch, the same as Apple's 27-inch 5K version. The larger 27-inch version was revealed last October, sporting the same external design as the non-Retina variant. It's likely that a new 21.5-inch model would follow the same approach, with the same look and an updated panel. 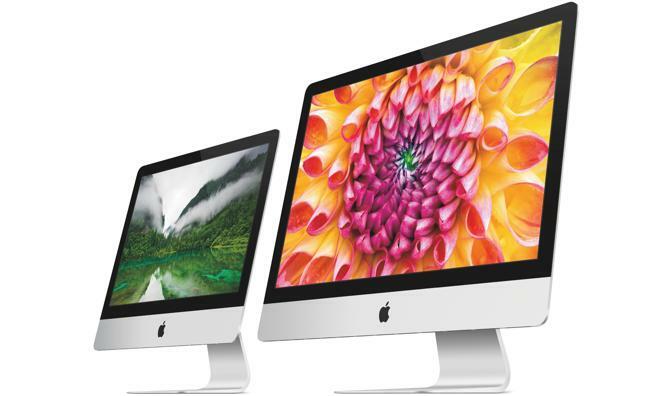 As for the 27-inch iMac with Retina 5K display, that's also expected to see an upgrade this fall, with newer processors and improved color saturation thanks to an LED phosphor material known as KSF. The 21.5-inch model should feature the same technology in its display, according to KGI Securities analyst Ming-Chi Kuo. Apple has a media event planned for next Wednesday, Sept. 9, where it is expected to introduce its next-generation "iPhone 6s," as well as a revamped Apple TV. Traditionally, the company has held a second media event in October to focus on the iPad and Mac platforms. If Apple sticks to its usual release pattern, it's likely that OS X 10.11 El Capitan will launch to the public at an October event. The latest betas of El Capitan were provided to testers earlier this week.